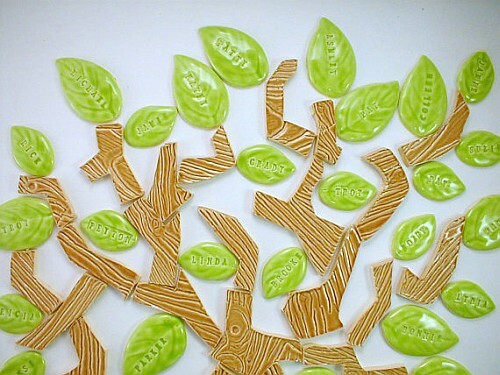 Handmade wood grain embossed tree branch ceramic tiles. Combine with names and leaves to make the perfect family tree. 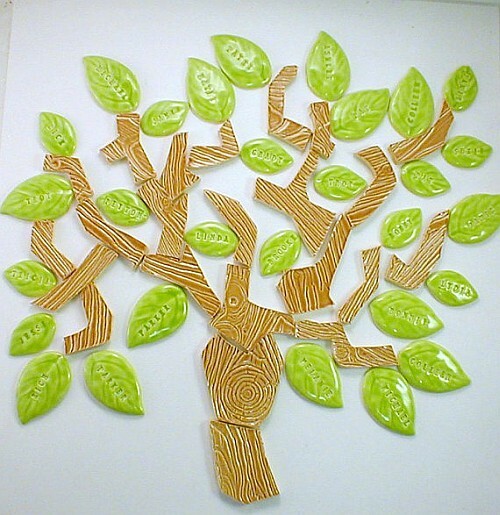 This listing is for a beautiful ceramic tree. You can purchase the tree and leaves separately. 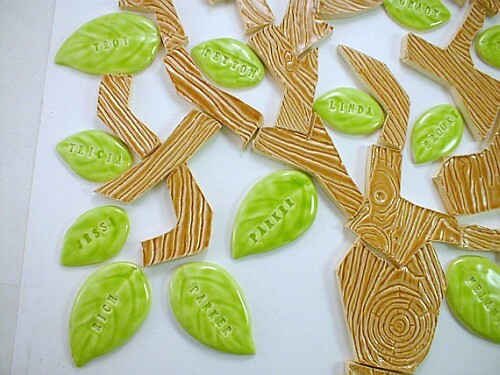 As a special order I can make the leaves with printed names to make the perfect ceramic family tree. The leaves come in sets of 10 for $5.50 and the names are purchased individually for $1.70. For each name you want enter the name in the text field on the right and click the Add To Cart button. 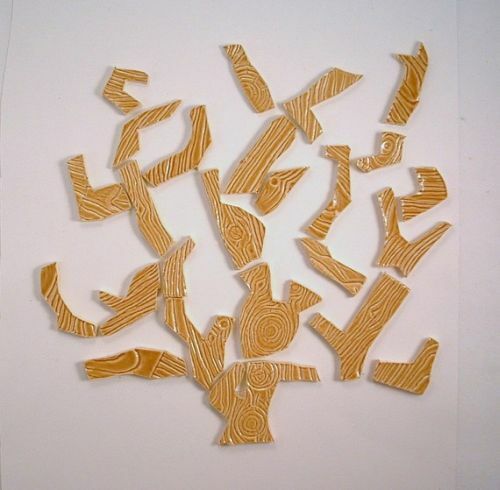 1 to 4 inch (25mm to 100mm) pieces make up the tree. Enter the name you want and click the Add To Cart button.Repeat this process for every name you want.